While humans prepare for cold weather, deer have something else in mind when temperatures drop. Cold weather signifies mating season for deer. Numerous insurance industry and government studies indicate that during this time, deer become more active, aggressive and a greater threat to humans, pets and suburban landscapes. Collisions between cars and deer account for about 200 deaths per year, according to the Insurance Institute for Highway Safety. Nationally, most accidents with deer occur between October and December – mating season – and are most common between 5 p.m. and 7 a.m., the North Carolina Department of Transportation reports. About 1.23 million accidents involving deer occurred in the U.S. between July 1, 2011 and June 30, 2012, and caused more than 4 billion dollars in vehicle damage, insurer State Farm reports. Eliminating deer from suburban settings won't be easy, since the easily accessible, nutritious food found in yards, along with a loss of predators, are sustaining urbanized deer. Our best defense is to learn more about deer, modify our behavior, and employ good tactics and remedies to repel deer. During mating season, deer are more active and intensely foraging and seeking mates. 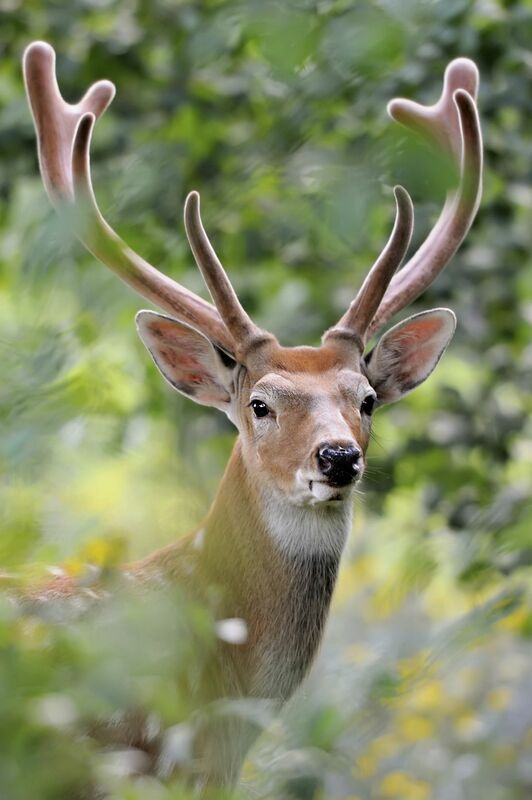 Bucks become particularly aggressive and can seriously injure – or even kill – pets and people. In cold weather, food is harder to find, and deer become much bolder, looking for food closer and closer to your backyard. Their foraging can cause significant damage to trees, shrubs, and garden beds. Deer can eat 10 pounds of food a day – half a ton over their lifetime – according to Bobbex, a leading manufacturer of proven effective, natural deer repellents. Deer move freely through suburban landscapes when temperatures drop because they have no natural predators – other than humans – in suburbia. In the wild, predators serve as natural population control for deer, but such predators are rare or non-existent in suburban areas. 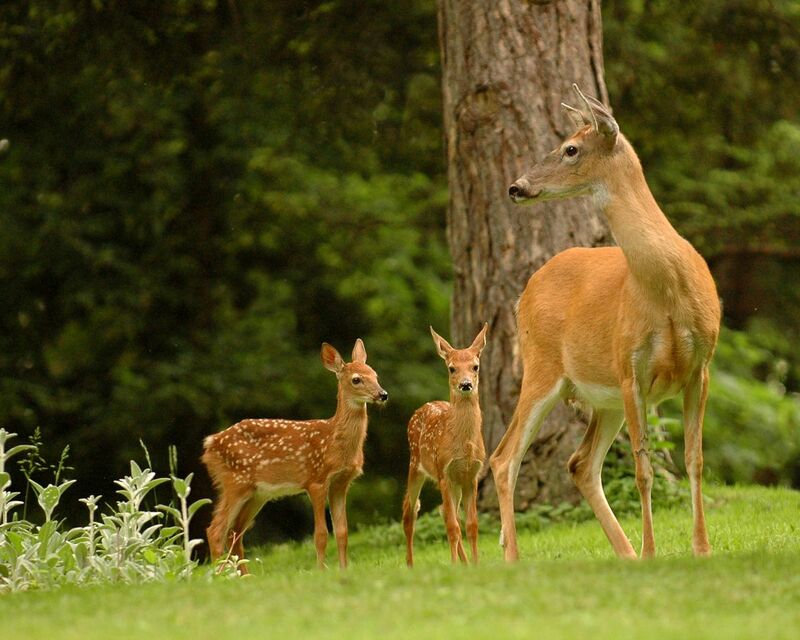 In addition to the damage deer can cause to your yard and the dangers of encountering them on the road, deer also carry parasites that can harm people. The ticks that carry Lyme disease live on deer, and proximity to deer can increase your exposure to these ticks. The Centers for Disease Control and Prevention say that Lyme disease is the most common tick-borne illness, and about 300,000 new cases are diagnosed each year. While fences can be a sure way to keep deer out of your yard, you probably can't build one high enough. 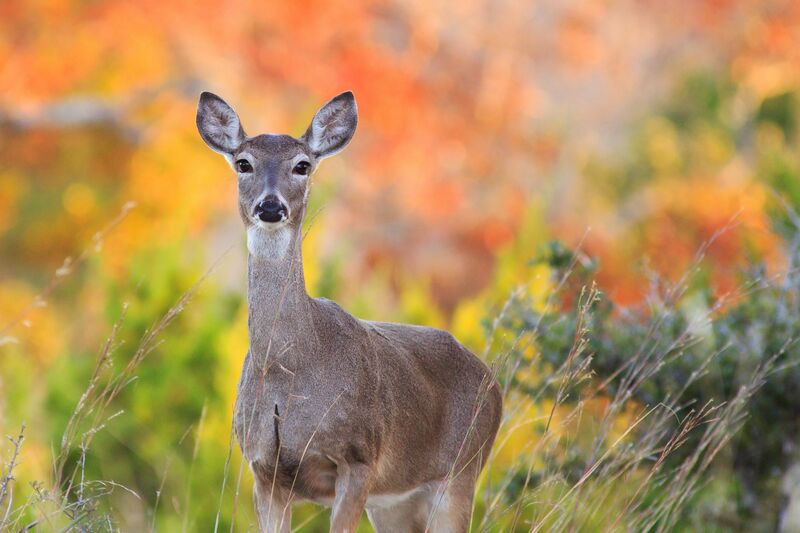 Deer can jump 8 feet, and many municipalities and homeowners associations limit suburban fence height to 5 or 6 feet. Deer have a better sense of smell than humans – nearly as good as your dog's. Canines have about 300 million olfactory receptors, whitetail deer have about 297 million and humans have just about 7 million. Their strong sense of smell helps deer find food and detect the presence of predators in their environment. When it comes to deterring deer, fencing, chemicals and devices don't always work. Natural deterrents, like Bobbex Deer Repellent, are more effective. A topical spray for foliage, Bobbex uses taste and scent-aversion ingredients to repel deer from ornamental plantings, shrubs and trees. 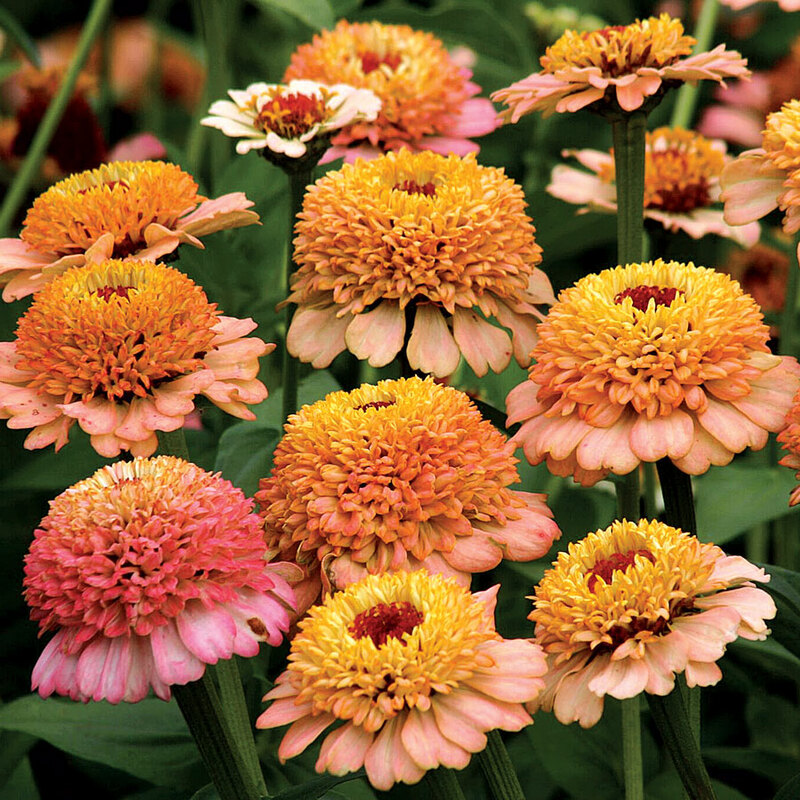 It's safe for use on even the most sensitive plants, as well as around children and pets. Effective in any climate, it won't wash off after heavy rain or snow. In fact, the Connecticut Department of Forestry and Horticulture tested Bobbex's product against 9 other top repellents and found it to be 93 percent effective in keeping deer away, ranked number two, only behind a physical fence. To learn more, and view testing results, visit Bobbex. Deer are smarter than many people give them credit for. They quickly learn where to find easy food sources when the weather gets cold. "Unless deer are given a reason to change their browsing trail, they will continue to visit your yard," deer repellent expert Nora Kwochka writes on the Bobbex blog. As cold temperatures arrive and more deer activity occurs, it's important to protect your yard, home and family from foraging deer. Armed with knowledge and the right, proven effective repellent, you'll be able to enjoy your backyard landscape without worrying about deer damage.